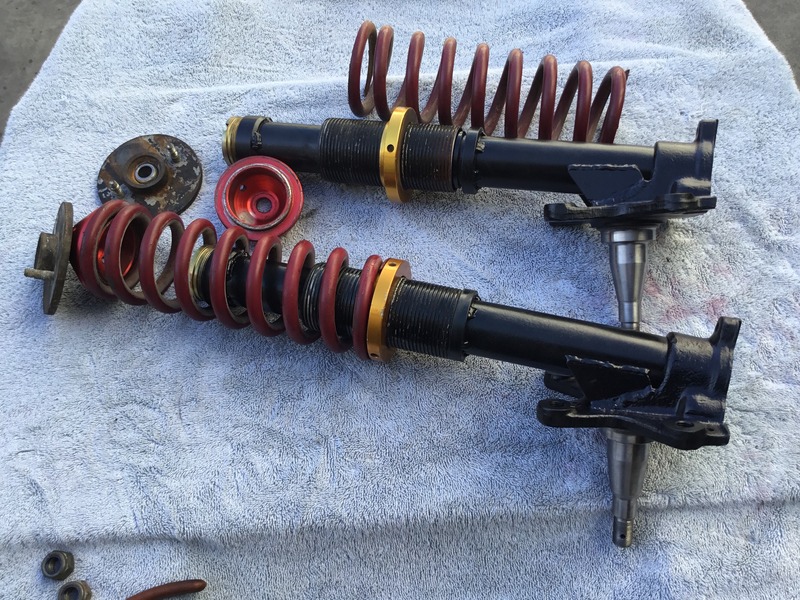 SOLD: Tii struts with adjustable coilover kit. Sold SOLD: Tii struts with adjustable coilover kit. 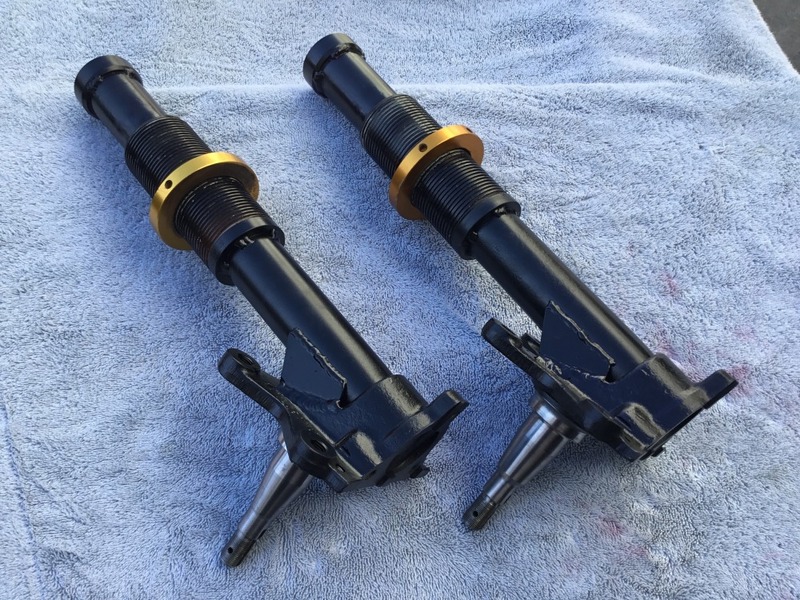 SOLD: A pair of shortened Tii struts with adjustable coil-over kit, plus extra parts. Bought these in a parts buyout, they’re in good condition. These are the larger Tii spindles. Spring perch and coil-over kit for 2.5” diameter springs. It appears they were set-up to be used with Bilstein Rabbit inserts, as the spacers are still in the bottom of the tubes (I fit an old insert inside to confirm). To complete this set-up and install, you would need Bilstein dampers/shocks, an upper camber plate kit, such as sold by Ireland http://www.iemotorsport.com/bmw/item/02acp.html or Ground Control, etc. You might choose springs for your application. (*part shown in photo is only 1/2 of a camber plate, I do not have the other half). You pay shipping cost and PayPal fees, or pick up for cash in Long Beach, CA. Man, those are really long springs! Are those side pieces welded on the reinforcement pieces Andrew was talking about? Yes, I believe so. I've seen them on units from Ground Control.